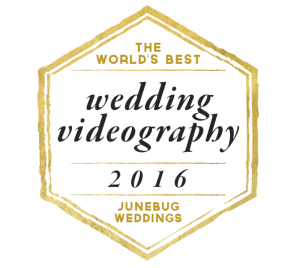 How WE approach WEDDING VIDEOGRAPHY ON YOUR WEDDING DAY? We always take a discreet approach while filming during your wedding day. We believe in being as ‘invisible’ and unobtrusive as possible. We’ve had couples and family members tell us they can’t believe all the footage we got and the film we are able to create because they don’t remember seeing us at the wedding ceremony and reception at all. First: The biggest difference between Sunflower Films and other Arkansas wedding videography companies is we use and embrace audio! We LOVE when couples write their own vows, love letters to each other, the officiant says something profound, or there are speeches at the reception. We are able to use all the amazing audio from your wedding day to help craft your wedding film. Second: Editing. The editing plays just as important part in your wedding film as the actual filming does. Don’t get me wrong you still need to have the skills to shoot, white balance, and compose shots properly but the ability to craft a story from footage while utilizing the audio from your wedding day is a skill in and of itself. You should know we don’t just create music videos that anyone can do. When you hire Sunflower Films for your wedding you are hiring us to tell your story and to do it in a way no one else can or even will. We carefully craft your wedding film using the perfect shots, the perfect narrative, and the perfect music track. We bring quite-a-bit of gear to each wedding but we pack it so well you would never know it. Our cameras consist of three Canon C100 Cinema Cameras, multiple zoom recorders, multiple Canon lenses, and an assortment of stabilizers (tripods, monopods, glidecam, sliders). After a typical wedding day where we are on location(s) 8 – 10 hours we’ll end up with 100-200 Gigabytes of footage. That equates to around 2-3 hours of continuous footage per camera, 300-500 video clips and 2-6 audio sources. So going through and organizing all of the footage, synching footage and audio, putting your wedding footage together to re-create your wedding day, sourcing music, color correction and grading all can take up to 40-60+ hours over the course of 3-6 months. All of our couples who purchase package A or B will receive their wedding film on custom a printed DVD and on Sunflower Films branded USB. All couples who purchase Package C will receive their film as a digital download link. WHY DO I RECEIVE A USB/FLASH DRIVE WITH ALL OF MY FINISHED DIGITAL FILES? DVDs, although great, do deteriorate and stop working over time. This is known as Disc rot. So receiving your finished files digitally on a USB/Flash Drive will allow you to copy the files to multiple computers, multiple hard drives and/or store them in the Cloud (Justcloud, ZipCloud, Mozy, or DropBox) for safe keeping and future proofing. It’s important that once you receive your files to take the proper steps to backup and safeguard your investment. Also, to prolong the life of your DVDs you always want to keep them in their cases when not in use. Do you have additional services like Rehearsal Coverage or RAW Footage? What can’t I use that SONG I heard on the radio? It all comes down to what is legal. Just like paying sales tax buying the license to music is so important to keep us legal and to keep us in good standing with music providers and Federal copyright laws. Buying a song from iTunes and using it as a music track for your wedding film is highly illegal and can come with very hefty fines and penalties. We have 4 online sources (The Music Bed, SongFreedom, Triple Scoop Music and Marmoset Music) where we license our music and their all outstanding! The music is amazing and since we only use each song we license just once the music chosen for your wedding film really becomes YOUR music. NOTE: All of the great films on this site use licensed music. Why do you require a NON-REFUNDABLE retainer and contract FOR YOUR Wedding Videography SERVICE? Very simple it shows us your are serious about hiring Sunflower Films and it also allows us to book and hold your date for only you. Absolutely! In fact we have many, many friends in the wedding business who refer us to their own couples. Do you shoot anything else besides weddingS? Of course! We’ve produced promo videos for photographers: Lyndsey Sullivan Promo and Tammie Tessing Client Testimonial as well as many other videos for other organizations!